It has been a while since I won a pair of sunglasses from Axon Optics and Michael Fernandez at MigraineDiscussions.com. This company makes glasses for migraine sufferers or for anyone with a sensitivity to light such as someone who is at a computer screen all day. I can’t really say anything about the indoor glasses since mine are for the outdoors. However I do have some things to say about the ones I own. Since I haven’t had a full-blown migraine, I have not been able to use these glasses yet during the light-sensitivity part of the headache. However, because of the coverage, I believe that it would be safe to assume that they would be very helpful when having to be in a well-lit room during a headache. I think that they would provide relief in that situation as well. In this area, I have to reserve the thumbs up for when this happens. I will keep you guys posted on that front. 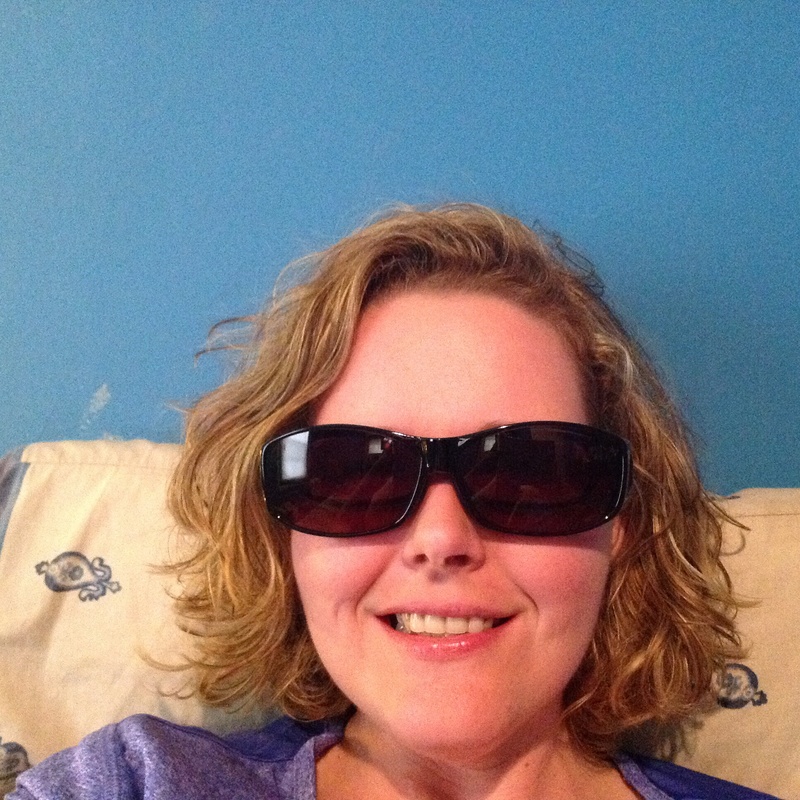 I am so very grateful to Michael and Axon Optics for providing me with these great sunglasses. They have met all my needs so far and may help any of you who suffer from migraines or other types of light-sensitivity. If you would like more information you can go to the Axon Optics website here or contact Michael Fernandez at MigraineDiscussions@gmail.com. A Letter to Patients With Chronic Disease. Also, I would like to thank Zyp for always finding great articles. Read more: Calling All Fibro-Bloggers!. 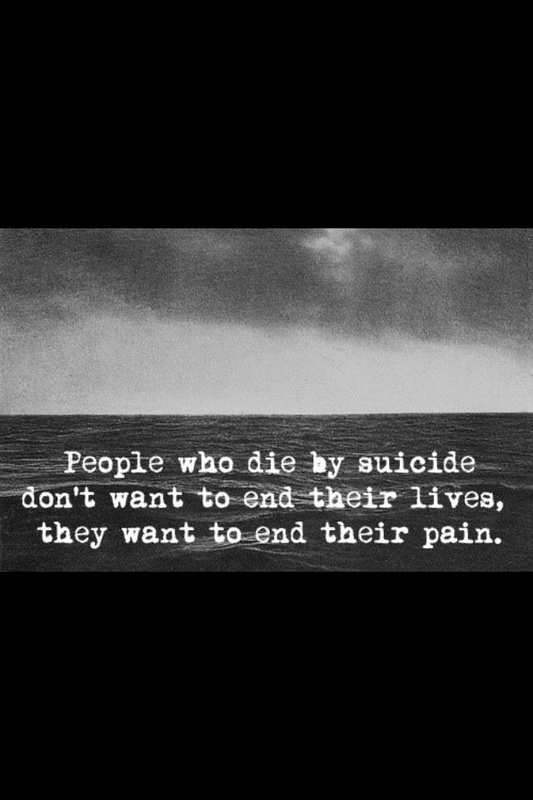 With chronic pain comes a chronic condition: suicide. when you think about it, it makes sense. When someone hurts day and night for any significant amount of time, feelings of helplessness (especially in regards to the medical system, but also in inability to perform activities one used to do) and worthlessness (loss of income due to inability to work) can add to the burden of living with unrelenting pain. — Large-scale studies show that at least 10 percent of suicides — and possibly as many as 70 percent — are linked to chronic illness or unrelenting pain. With numbers like these, it’s easy to see just how big of a problem chronic pain can be in the lives of its sufferers. I personally have considered suicide a time or two. I have been lucky in that I snap out of it quickly and get back into warrior mode. I however, am lucky in that I have doctors who understand my condition and are willing to prescribe medications that take the edge off of my pain, allowing me to think more clearly and deal with life as it comes. I also have a psychologist and a psychiatrist who understand my pain and work with me on stressors so that I can better deal with the things that life throws at me, including the pain itself. Others aren’t so lucky. Without the appropriate pain medications and psychological/psychiatric help, the physical and emotional pain can become completely unbearable. Without belief and support from friends and family, the situation becomes worse for the sufferer. To be honest, the times that I have considered suicide, it was because of a lack of a support system. I am writing this post in honor of a very good friend of mine who is dealing with this problem even as I type this post. I want her to remember that she has friends that care about her and who love her. We understand what she is going through. I pray that she is able to get some kind of relief soon not only from her pain, but from the other struggles that she is facing at this time. I ask that if you’re reading this to please say a prayer for my friend. If you don’t pray, then send as many good thoughts and feelings to her as you can. Have you ever contemplated suicide because of your chronic pain? Do you know someone who has been in this situation before? What helped them through it? 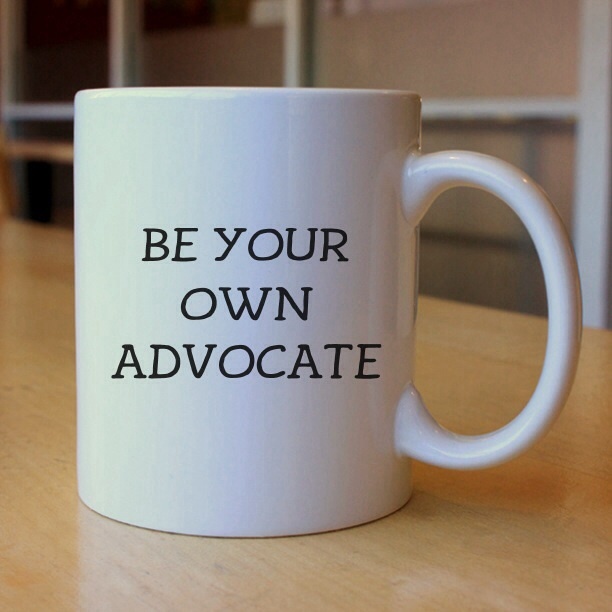 Do you believe and support your chronic pain friends or loved ones the way you should? If not, please understand that things like being called lazy or unproductive can reach the very soul of the patient and can cause these types of thoughts. Are you, as a doctor, doing everything you can for your chronic pain patients, or do you get frustrated and try to pass them off to another specialist? Please understand that we, as patients, place our trust in you to believe us and to help us. We need you more than you can imagine. If you are stuck and don’t know where to go in their treatment, tell them so. Find someone who can help, but make sure that the patient knows that whatever happens with the referral, you are still there for them. Life is hard for everyone. Try to imagine your everyday stressors and add to that the worst pain you can imagine. Now think how your life would be with that kind of pain 24/7, people who don’t believe that you are in pain, financial hardship because you are unable to work, and on top of all that is your everyday stressors. That is what we, as chronic pain patients deal with daily. Be kind. Understand. And most importantly, look out for warning signs of suicidal thoughts. These are your loved ones, your neighbors, your friends. Be there for them. BO. No, I am not going to discuss body odor. However, what I am going to discuss may be just as disturbing, so let’s just say you’ve been warned. BOs: in my world, the world of pelvic/abdominal adhesions, the one fear we live with on a daily basis is BOs or bowel obstructions. 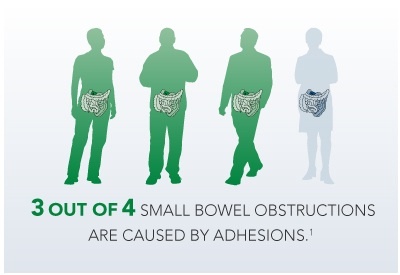 The adhesions usually like to wrap their way around bowel, which is the point where doctors decide that surgery is too dangerous. Once the bowel has been compromised, we are left to battle symptoms such as bloating, nausea, vomiting, and the ever present constipation on a daily basis. We live in fear of the day when the adhesions have a good grip on the bowels, causing a partial or full bowel obstruction. From what I have learned from the adhesion groups on Facebook, the obstructions feel almost like childbirth. You have these strong, painful cramps and feel like you should be pushing. If it is a partial obstruction, then it usually passes and you are able to evacuate. However, if it doesn’t pass and you start to vomit, it is usually time to head to the ER and means surgery is eminent. These are the surgeries that our doctors dread the most. It is a life-saving surgery and there is always the chance that the person has waited too long and infection sets in or the person can end up coming out of the surgery with the dreaded colostomy bag. Why am I telling you all this? Many people with severe adhesions eventually adopt a liquid diet to help to avoid BOs. I thank God every day that I am still able to eat. I worry about the day when I will have a partial or full BO. That is just part of life for people like me. One day, it will happen. I try to be prepared. I am on a variety of laxative-type medications every day to keep things moving and prevent a BO. My fridge is stocked with various protein shakes such as Ensure for when I must adopt the liquid diet (even if it is temporary). I write about these unpleasant things so that you understand my worries, my pain, my life. So that if you ever meet a person with adhesions you understand them, their worries, their pain, and their life. So that you understand how the severe pain of daily living causes many to have to quit work. They are not lazy, they are in pain. Not just physical pain, but the emotional pain of being told by the doctors that there is nothing more that can be done. That no more surgeries can be done unless the “situation” becomes life threatening, and worrying daily if you will be able to get through the day with a lesser amount of pain than the day before and without having the dreaded BO. Come on, baby, spend Christmas with me! Company for Christmas is a volunteer fueled mission, created by fabulous blogger RuleofStupid. It is a virtual place for people who, quite simply, don’t have any company on Christmas, and would benefit from a little non-religiously-affiliated, non-counseling -orientated, conversation. Read more of this post: Come on, baby, spend Christmas with me!. Today was my first day of occupational therapy. It went better than I thought it would. Since it was the first visit, we mainly sat and talked, well, I talked and she listened or asked questions. Of course I had to go over my whole back story with her so that she would understand why a 32 yr old woman needed occupational therapy. I’m sure it looked funny to her. If not, it looked funny to me because everyone else in the waiting room was over 50. Granted, most of these things I can still do quite well. What I do have problems with are cooking and housework. It has been a long time since I have cooked a whole meal on my own, and even when I am able, I am hurting so bad by the time I finish that I can not eat. Housework is a big problem for me. So much needs to be done, I just can’t find the energy to do it, and when I do, I pay the consequences the next day. So, after our talk and once she understood the things that I needed help doing, she got my pelvic pain specialist’s name and number to see if he has any restrictions on what I can or cannot do such as amount of weight I can lift, etc. Then she explained that the best way to tackle something like that is to make a schedule. First was to pick the time of day that I have the most energy. Next, I’m supposed to prioritize. Examples of that is bathing. Since it is a priority, it needs to be the first thing scheduled and the rest follows after that. Her goal for me is to do two personal care and two household items each day. Of course, I won’t start out at two, just at one, but she needs to check with my doctor still to make sure he has no restrictions. She gave me a paper on Energy Conservation and one on the Principles of Joint Protection. There are a few things on that sheet that I don’t understand yet such as “Become an expert on body mechanics”. That’s not something that people just know…they have to be taught. Lastly, she gave me a catalog of personal care devices that might help. For example, a shower chair would conserve energy (or “spoons”) by allowing me to shower while seated. She said to go through the catalog and see if there were any products I thought might make my life easier and then to try to find them cheaper on the internet. That was a given once I saw the prices in this thing. They’re OUTRAGEOUS! They want $200 for a shower chair when I didn’t buy one at the pharmacy because it cost $70. I think if I look around I can probably find a cheaper one. Needless to say, I am looking forward to the suggestions that they can offer to make my life easier and help me get to the point where I am able to be completely independent again. I highly suggest this to any of you who are struggling with Activities of Daily Living. I will keep you all posted as to how my later sessions go. I was worried about going at first, but the lady made me feel completely comfortable and was eager to help. It turned out to be a pretty good day after all. I have mentioned this book before, but this post does a much better job. I recommend this book for ANY of my readers who have a chronic illness or their caregivers. I FINALLY Read the Book, “How to Be Sick”.